There was more bad news for networking giant Ericsson as credit rating agency Moody’s downgraded its debt to junk status for the first time since 2005. Moody’s rates credit risk on a scale with Aaa as the safest bet and C the dodgiest (see table below). The numbers 1-3 used as sub-qualifiers, 1 being better and 3 being worse, and the cut-off point between investment grade and speculative – otherwise known as ‘junk’ – is considered to be between Baa3 and Ba1. Ericsson’s credit rating at Moody’s was as high as A3 in 2016 and in the middle of last year was still a solid Baa1, then came a sequence of three downgrades in close succession taking it down to Baa3 by the end of the year. The recent gloomy numbers and outlook seem to have brought about the latest downgrade to Ba1. “The downgrade of Ericsson’s ratings reflects the anticipated negative impact on the company’s operating earnings and cash flow in 2017 and 2018 due to rising restructuring charges and provisions, as recently announced by the company, leading to credit metrics that will no longer be commensurate with investment-grade ratings,” said Alejandro Núñez of Moody’s. It will be of little consolation to Nokia’s debt is already rated Ba1 by Moody’s, especially since it seems to be headed in the opposite direction, having been B1 as recently as 2013. 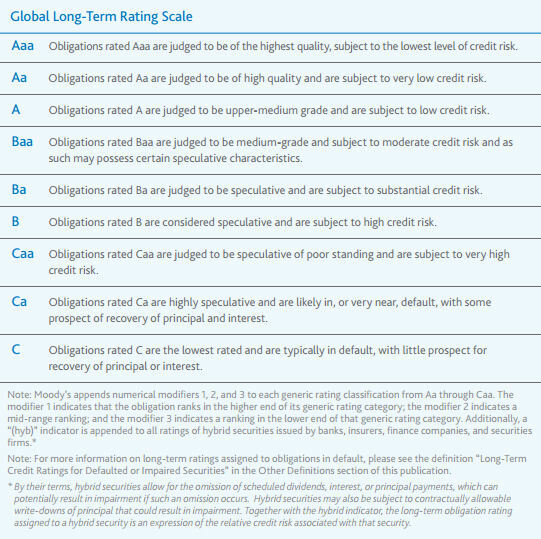 The other main credit rating agency – Standard and Poor’s – uses slightly different symbols and the cut-off between investment-grade and junk for them is between BBB- and BB+. S&P downgraded Ericsson to BBB- in March and seems likely to move it down to BB+ before long, which will also be the first time since 2005. It also has Nokia at the top of the junk scale with a BB+ rating.